“"A great star is born!Congratulations Sivakarthikeyan"-appreciation from Thalaivar @superstarrajini sir after watching #Remo. Humbled&happy”. Striking updates on Sivakarthikeyan's next! Will Sivakarthikeyan reunite with his debut director? This page hosts a weekly slideshow related to Tamil movies. Each slide includes a picture and some description about that picture. All the slides will have a recurring theme. People looking for actress stills, actress images, actor stills, actor images, movie stills, movie images, and other interesting topics, relevant issues in Tamil cinema will find this page useful. 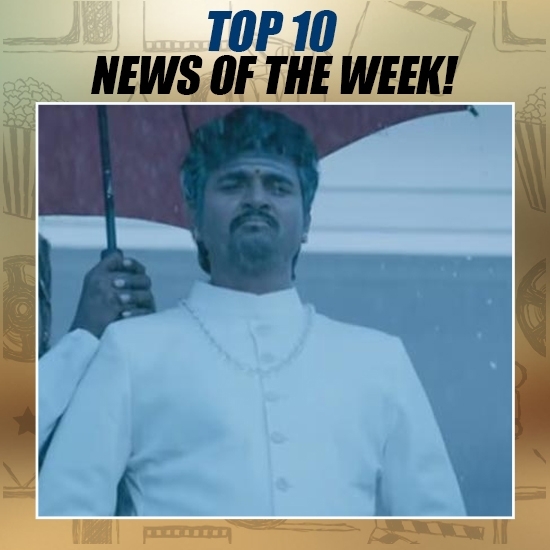 SIVAKARTHIKEYAN REVEALS WHAT RAJINIKANTH TOLD HIM | Top 10 News of the week (Oct 16 - Oct 22).